The representation of the lecture took place on a sunny Tuesday morning. The Châtelet team arrived in Sant Cugat with all the atrezzo for the lecture, and were ready in the "Music Classroom" at 10 am to start it. The students, two classes from 6th grade, entered the room and sat in front of the "actrices" with curiosity. Maria Dolors Baró, Physics Professor at the UAB, introduced us, while highlighting in her speech that women rights along history have been acquired too late, and that there is still much work to do! After her words, the piano started playing by Hildegarda von Bingen (Susagna Ricart). Silence. And then Madame Châtelet (Anna Roig) started with her words "Bon dia, i benvinguts al meu saló". The Châtelet team this time was formed by Anna Roig (Châtelet), Imma Ratera (Hypatia of Alexandria), M. Isabel Alonso (Beatriu de Pinós), Mariana Köber (Trota de Salerno), Carmen Ocal (Sibylla Merian), Anna May (Ada Lovelace), Pietat Sierra (Nettie Stevens), Esther Barrena (Rosalind Franklin), Rosario Núñez (Vera Rubin) and Susagna Ricart (Margarita Salas and Hildegarda von Bingen). 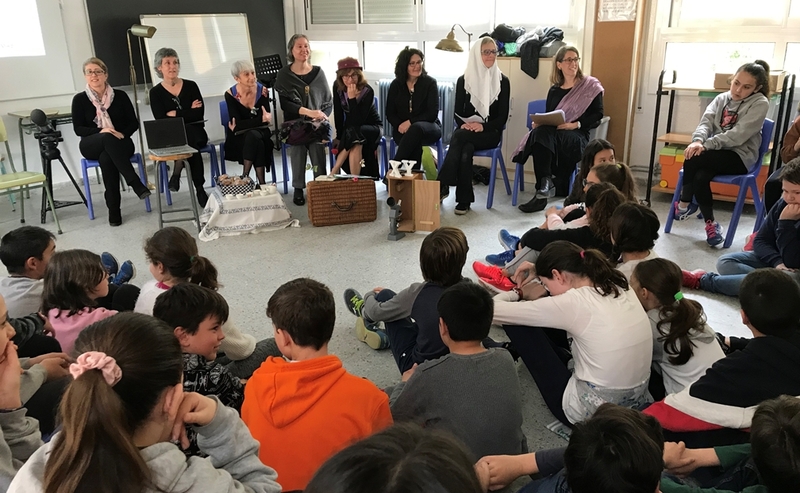 After the play, which reviews the history of science by highlighting the discoveries and life of these women, it was time for the students to ask questions and participate, and for receiving their feedback. "He tingut ocasió de parlar amb els mestres de sisè, després del pati van estar comentant l'obra amb els alumnes i l'opinió general va ser molt positiva. Els va agradar i interessar molt. Una vegada més us vull expressar el meu agraïment i el meu reconeixement per aquesta tasca tan necessària que feu." said Maria Dolors Baró tu us, after speaking with the school teachers. 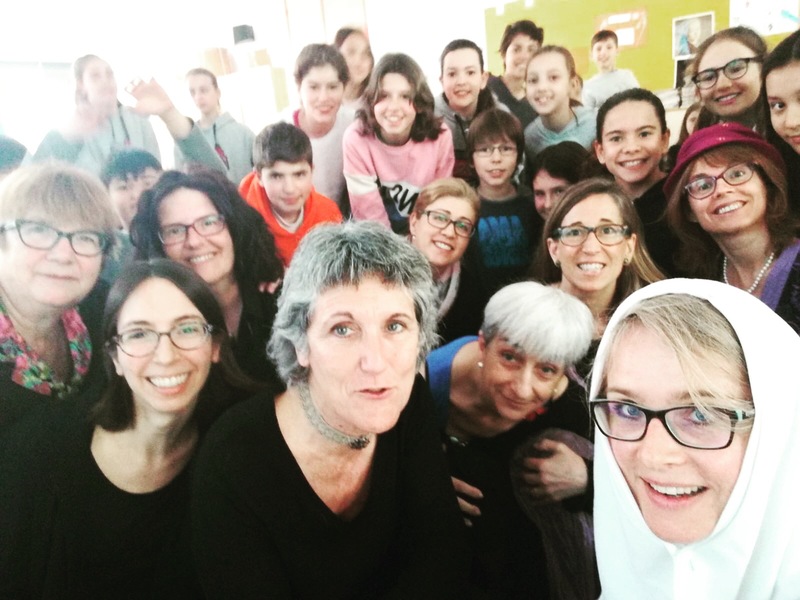 We would like to thank the School "Els Pins del Vallès" for inviting us, Maria Dolors Baró, for the contact and coordination of this representation, and all the students for being so attentive!